Nineteenth in a series of posts celebrating 200 years of Jane Austen’s Mansfield Park. For more details, open Your Invitation to Mansfield Park. Elaine Bander was the first person I asked to contribute a guest post to this series celebrating Mansfield Park. Last fall, when JASNA Nova Scotia was fortunate to have Elaine visit us to give a talk on “Jane Austen’s Fanny Price and Lord Nelson: Rethinking the National Hero(ine),” I mentioned that I had been thinking about putting something together on my blog to honour Mansfield Park. At the time, I imagined inviting a few people to write guest posts, but the party kept getting bigger and I am so pleased to be celebrating with all of you. Thank you, Elaine, for being the first to sign on! Elaine says she’s been pondering Mansfield Park since she began writing her dissertation on Austen nearly forty years ago. Now retired from teaching at Dawson College in Montreal, she is Coordinator of JASNA’s 2014 AGM: “Mansfield Park in Montréal: Contexts, Conventions & Controversies” (October 10-12, 2014) and serves on the editorial board of JASNA’s journal, Persuasions. I interviewed her last fall about her experience in JASNA’s International Visitor Program, her longstanding connections with The Burney Society, and her experience of discovering Jane Austen’s novels. You can read the interview here, and you can read about Elaine’s visit to Halifax and her talk on Fanny Price’s courage here. I know the AGM is going to be wonderful and I can’t wait to spend the weekend talking about Mansfield Park in person with so many of you! It was a picture which Henry Crawford had moral taste enough to value. Fanny’s attractions increased – increased two-fold – for the sensibility which beautified her complexion and illuminated her countenance, was an attraction in itself. He was no longer in doubt of the capabilities of her heart. She had feeling, genuine feeling. It would be something to be loved by such a girl, to excite the first ardours of her young, unsophisticated mind! She interested him more than he had foreseen. A fortnight was not enough. His stay became indefinite. Henry Crawford, a disengaged, charming, compulsive flirt, begins to fall in love with Fanny Price when he perceives the warmth and depth of her feeling for her brother William. It helps that he’s bored, that Maria and Julia are gone, and that restless, gifted, undisciplined Henry, coming to the end of his duty visit to his sisters, is looking for a new project or challenge. His original “wicked project” (Mary’s words) was to make a small hole in Fanny’s heart, to woo her lightly for the sport of the hunt. Her obvious “sensibility,” however, intrigues and attracts him. Taught by his uncle to despise marriage and to think all women venial, Henry imagines exciting “the first ardours of her young, unsophisticated mind!” He already perceives that Fanny is not like her cousins, and he will soon tell her that she has something of the angel about her. So Henry postpones his departure. 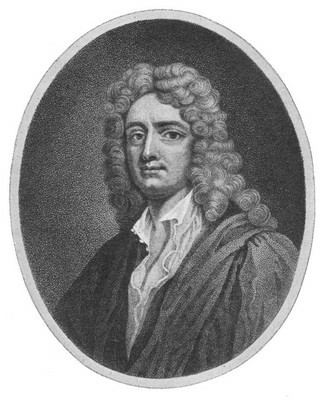 Neither a stock despoiler of virgins nor a Lovelace-like rake, Henry has “moral taste.” This expression has a history going back to the philosophical writings of Anthony Ashley-Cooper, 3rd Earl of Shaftesbury (1671-1713) and was current in the general popular culture of Austen’s time, underpinning much of the literature of sensibility and posing a philosophical opposition to more traditional morality (like Fanny’s) founded upon firm moral principles and the duty of reflection. Meanwhile Fanny’s own aesthetic taste is powerfully attracted to Henry’s considerable acting talent, albeit without seriously affecting her moral judgment of him. 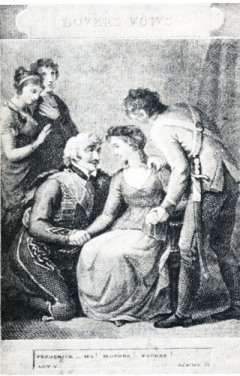 During the rehearsals, she “believed herself to derive as much innocent enjoyment from the play as any of them; – Henry Crawford acted well, and it was a pleasure to her to creep into the theatre, and attend the rehearsal of the first act” of Lovers’ Vows. When later Henry reads from King Henry VIII, Fanny responds involuntarily, against her conscious, rational judgment and will, against her very “principles,” to his acting skill: her needle falls from her hand, and “the eyes which had appeared so studiously to avoid him throughout the day, were turned and fixed on Crawford, fixed on him for minutes . . . until the book was closed, and the charm was broken.” With Henry’s charm broken, Fanny’s rational judgment reasserts itself. She resists equating aesthetic good with moral good. Henry cannot even name the qualities he admires in Fanny. As a sensible man and a gifted actor who envies Edmund and William their professional commitments, he values Fanny aesthetically and morally, but without serious reflection. Characteristically, he rejoices in the role of chivalrous lover and protector of friendless Fanny. Then why does he elope with Maria Rushworth? I don’t think he has fallen out of love with Fanny, or into love with Maria, whom he rather despises. Nor do I think he is simply a compulsive seducer of women. I have always imagined that his conceit-driven, casual flirtation with Maria leads to some exciting, secret, physical fondling, which prompts desperate Maria to show up on Henry’s doorstep one evening declaring that she has left Mr. Rushworth and has put herself under Henry’s protection. Henry, too much of a gentleman to turn her away, must then accept the consequences of his own unreflective behaviour: the loss of Fanny, whom he had had the moral taste to appreciate. To read more about all the posts in this series, visit An Invitation to Mansfield Park. Coming soon: guest posts by Laurel Ann Nattress, Maggie Arnold, Hugh Kindred, and Natasha Duquette. Subscribe by email or follow the blog so you don’t miss these fabulous contributions to the Mansfield Park party! Or follow along by connecting with me on Facebook, Twitter (@Sarah_Emsley), or Pinterest. Your suggestion/explanation in the last paragraph of how Henry ends up running off with Maria finally makes that incident more understandable!… and he becomes a more sympathetic character to me. Thank you Elaine and Thank you Sarah for these posts!! I so look forward to coming to Montreal in a month! Thank you, Carol — see you in Montreal. I’m sure the AGM will be fabulous. An intriguing spin on Henry’s final, distressing fall into disgrace with Maria. Henry Crawford both attracts and repels the reader–as he was meant to–and I like getting a new insight into his inner workings. Thank you! Very interesting thoughts on Henry Crawford! I’d never thought about it in that way before. I had always thought Henry to fall in the end because he was angry that he knew (deep down anyway) he could not win Fanny and he was not quite strong enough in his new convictions of principle that he reverted back to his previous, if not rakish, at least selfish behavior. Almost like a “Fine then, I give up!” I’ve always liked Henry, not for the devilish side, but because he is a tragic character; he was so close to being on his way to learn happiness in life, despite his upbringing. I’ve always mourned a little that he ‘gave up’, if that is indeed what he did. Always fun to hear the insights and observations of others! I’ll have to think about this new (to me!) theory! I like what you say about how Henry was so close to learning what happiness could be. Very sad! Sarah, I would suggest to you that Fanny is powerfully physically attracted to Henry in ways that her very powerful superego suppresses like mad. He wins her heart not with his looks, but with his extraordinary personality. That’s partly why Fanny is SO upset when she hears the news of Maria eloping with Henry–she is jealous! And I also believe that “taste” was a word like a thousand other words that Jane Austen punned on, often with a subtle sexual overlay. If you read all the references to “taste” in Mansfield Park with double vision, you will see that many of them are readily amenable to a sexual connotation. Arnie: You are so right about how she puns on the word “taste.” My favourite example has to be Dr. Grant, who as a total GLUTTON reminds us of the physiological basis of the word taste. It is her greatest irony that a clergyman, who ought to have developed a “taste” for the higher pleasures of the soul and mind, is instead mired in the purely physical and material sense of the word, obsessed with his food and his claret! I agree with so much of what Elaine Bander says–one real depth of the novel is that Henry has been stirred by Fanny into becoming something more than the casual libertine his uncle’s upbringing has made of him; there are so many instances of this, which are not just play-acting –his courtesy to her father in Portsmouth, and especially his kindness to Susan (who is exactly the kind of unwanted third that Fanny was at Sotherton as he flirted with Maria; but he has learned more real gentleness, tenderness, and awareness of others through seeing Fanny’s) So the flirtation with Maria –and I have always imagined exactly the scene that Elaine Bander describes, a hysterical Maria, a blackmailing maid, nothing to be done but accept the situation; and I also agree that there is real pain in Fanny’s reaction to the elopement, which is not only moral horror (though that is part of it) but shock that he has not been true either to her or to his best self. fascinating and well written piece. Contrasting the characters in MP with Marianne in S&S really highlights the importance of reflection in true morality. Fascinating. Obviously it must be reflection in a certain vein, though. With humility and a willingness to accept true moral principles as a guide. Interesting that even Edmund was faulty here. His reflections led him the wrong way –toward Mary. It wasn’t until he was humbled and grieving her loss and free of the distractions of so much silly social goings-on that he was able to reflect on what was really right and see Fanny’s true worth as a possible wife. Nice to see this post from Elaine, so familiar with and supportive of my own work on Shaftesbury and moral taste in Mansfield Park ever since introducing my AGM talk on the subject in Toronto in 2002. The terms “moral taste” and “moral sense” introduced by Shaftesbury into 18th-C. ethics and aesthetics later became associated with an undermining of the whole foundation of morals to SIMPLY matters of ultimately subjective “taste” in writers such as Frances Hutcheson and especially David Hume. But it is interesting that Shaftesbury used the term “moral sense” only twice in all of his 3-volume work CHARACTERISTICKS; it was later popularized and greatly aestheticized by Hutcheson and Hume. Shaftesbury’s understanding of the term is in fact very different from its popularized forms, and keeps the idea that both the beautiful and the good have an objective foundation in the beauty and harmony of the cosmic order of the universe. In this respect, it is closest to Austen’s view (cf. the star-gazing scene in MP) in ways that Hutcheson and Hume are not. Henry Crawford wavers between the two understandings of “moral sense”: the earlier, Ancient view one finds in Shaftesbury’s understanding of Aristotle and a cosmic order; and the modern, skeptical, Humean view that says morals, like aesthetic taste, are simply grounded in “habit” and “opinion” with no underpinning of an objective order in the universe. This is why Henry is ultimately so tragic: he has the potential to “rise” to this Ancient view of morals as grounded in “reason”, but “falls” to the Modern one of morals as just grounded in subjective aesthetic taste and sentiment, the “passions.” This is why his is ultimately a “VITIATED [i.e.corrupted] taste,” as Edmund says also of Mary’s taste: “Hers are faults of principle, Fanny, of blunted delicacy and a corrupted, vitiated mind” (III, xvi). This was indeed a very interesting post and I’m grateful that you expanded on Shaftesbury’s concept of moral sense – how it aligns with an Aristotelian vision. Like others, I’m in general agreement with the post’s supposition of how Crawford came to elope with Maria Rushworth. I’m not quite sure I consider Crawford “too much of a gentleman,” but I do think the event was a confused mixture of passion and pressure. I think it’s reasonable to suppose that Crawford himself didn’t exactly make a clear decision – except the one to re-seduce Maria – that Maria took the initiative and Crawford was foolish, inept and guilty enough to be trapped by his own initially short-term scheme for flirtation into Maria’s long term scheme for something much more. I think it’s telling that Henry falls into his second flirtation with Maria out of a dangerous desire to humble her pride. “It was anger on Fanny’s account” — which shows how short he falls in a true understanding of Fanny’s character, even as he’s drawn to her virtues. Henry isn’t used to situations getting out of his control, as evidenced by how easily he’s able to drop Maria the first time, and I don’t think it occurs to him that Maria will take such initiative in leaving her husband that he’ll be stuck with her on his hands. I think that his main desire in fleeing with Maria is just to hush it up, to calm her down enough to let the thing blow over and get her back home to her husband before anyone notices, but Austen makes a point of describing how, once things have reached this pass, no one is able to mold them anymore — not Sir Thomas’s friend, nor Sir Thomas, nor Henry, nor even the elder Mrs. Rushworth, who although she hated Maria surely didn’t want her family name dragged through the papers. And Henry has the moral taste to appreciate Fanny, but not the moral strength to refrain from the frisson of a flirtatious challenge. Mary Crawford nails it, I think, when she laments that if only the whole affair had been hushed up, “it would have all ended up in a regular standing flirtation, in yearly meetings at Sotherton and Everingham.” That’s rather a cruel fate to wish on Fanny, who values mental as well as physical fidelity. Thank you for a great post on “moral taste”. The post with the reference to Sense and Sensibility makes clear that this is another important theme to look for in reading Jane Austen. I always learn something when I read these posts. Henry Crawford’s character is a mile wide and an inch deep. He clearly has the ability to recognize the commitment of Edmund Bertram and the courage of William Price, but he simply does not have the character to act on what he knows. He “wished he had been a William Price, distinguishing himself and working his way to fortune and consequence…” but he never will. “The wish was rather eager than lasting. He was roused from the reverie of retrospection and regret produced by it, by some inquiry from Edmund as to his plans for the next day’s hunting; and he found it was as well to be a man of fortune at once with horses and grooms at his command.” (ch. 24) Hunting trumps working any day. He has the moral taste to respect Fanny and wish for for happiness and respectability, but he was never going to get there. In the end his character was such that he could not help himself, “he went off with her at last, because he could not help it,…”. The “it” was part of his character. (ch. 48) Fanny, of course, has no problem acting on her sense of what is right. Even Edmund finally gets his sense and his actions right, although just barely. So Fanny and Edmund wind up married and not Fanny and Henry. In Jane Austen’s characters, It is the essence of good character to have a sense of moral taste and to act accordingly. I write about Jane Austen, Jane Austen for kids, and Edith Wharton. Sometimes I post about other writers I admire, such as L.M. Montgomery, and about places I love (especially Nova Scotia and Alberta). I taught writing at Harvard University before I decided to come home to Nova Scotia to write full time. Enter your email address to follow my blog and hear about new posts by email. A new blog series celebrating 200 years of Jane Austen's Northanger Abbey and Persuasion. Guest posts in honour of the 200th anniversary of Jane Austen's Emma. 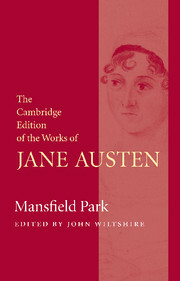 My essay “The Tragic Action of Mansfield Park" appears in Approaches to Teaching Austen’s Mansfield Park. "Among the Proto-Janeites: Reading Mansfield Park for Consolation in Halifax, Nova Scotia in 1815" was published in Persuasions On-Line 35.1. A series of guest posts celebrating 200 years of Jane Austen's Mansfield Park. © All Rights Reserved. Sarah Emsley, 2018.